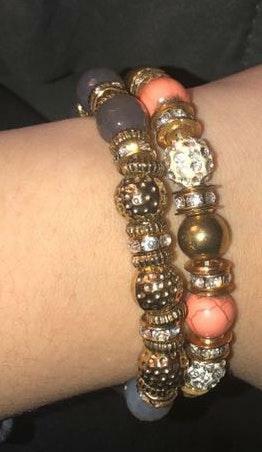 beaded bracelet!! Super cute I just never wear it. One is gray and the other is a coral/pink color. They come together!